2018 Santa Cruz hightower lt cc with brand new roval wheels and butcher tires, recently rebuilt Fox 36 elite, and dhx2. XO carbon cranks, Santa Cruz carbon handle bar, guide rsc sram brakes. Brand new nx drivetrain. Entire bike in great shape with many never ridden parts. Happy to ship as long as buyer pays shipping. Brand new Specialized defroster mtb trail shoe with BOA straps in 43.5 EU in black and orange. Brand new S-Works 6 RD shoe black wide size 43.5. 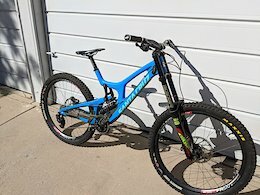 2018 Santa Cruz V10 C 650b, size large. Newly built DT Swiss FR570 wheels with DT Swiss 240 hubs. Rockshox World Cup Boxxer, Enve Carbon Minnaar bars, Avid Code RSC breaks, Renthal Stem, Sram Descedent cranks. I also have a bunch of spare parts for it that I would be willing to sell for cheap if interested. 2018 Santa Cruz V10 Carbon 650b, size large. Newly built DT Swiss FR570 wheels with DT Swiss 240 hubs. 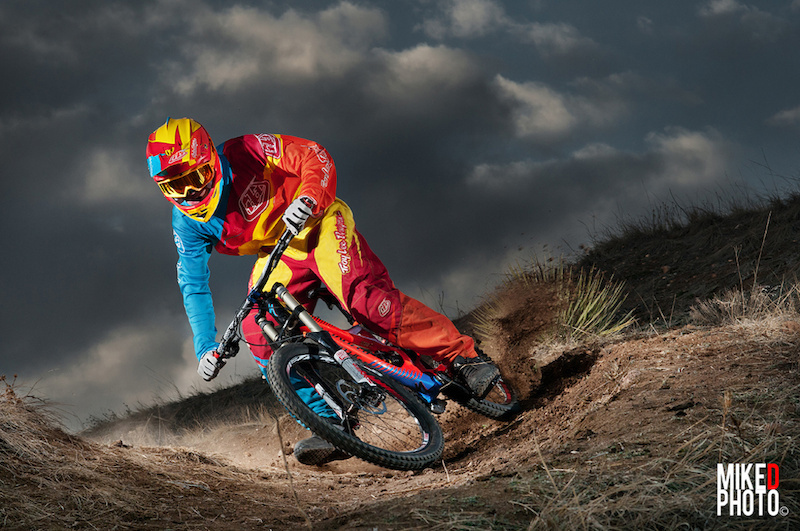 Rockshox World Cup Boxxer, Enve Carbon Minnaar bars, Avid Code RSC breaks, Renthal Stem, Sram Descedent cranks. Roval Traverse Carbon 29'er complete wheel set. Hookless carbon, 30mm inner width, 24/28h, tubeless ready, hand-built, with Specialized, sealed cartridge bearings, 12x148mm thru-axle, 28h rear hub, and Specialized, sealed cartridge bearings, 15x110mm spacing, 24h front hub. They have never been ridden and come with rim tape. Just to be clear Specialized does not warranty items for second owners so even though these are brand new, they will not be covered under warranty.